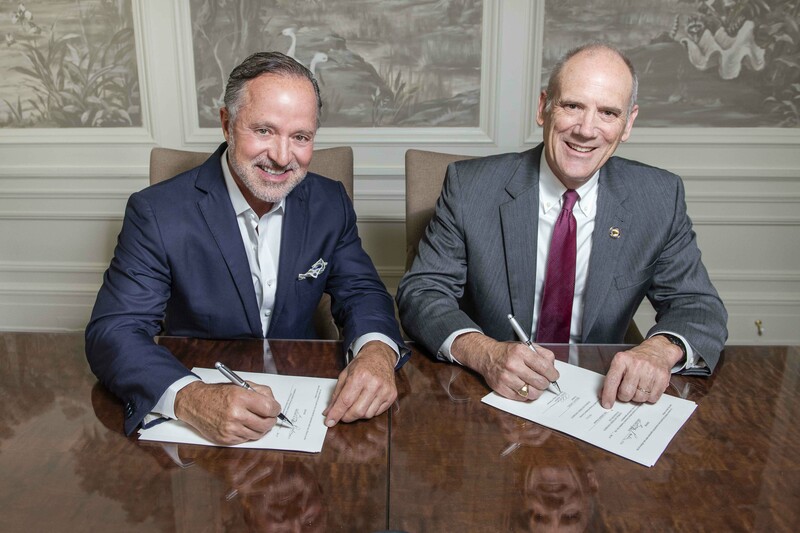 SAVANNAH, Ga. (November 15, 2018) – Parker’s CEO Greg Parker recently made a $5 million gift to the Georgia Southern University Foundation, Inc. – the single largest gift in University history – to support the College of Business. On Nov. 13, the University System of Georgia Board of Regents approved the naming of the Parker College of Business at Georgia Southern University, with campuses in Statesboro, Ga.; Savannah, Ga.; and Hinesville, Ga.
Parker is known for his commitment to technology, innovation and charitable giving. The new name ties the College of Business at Georgia Southern to a successful entrepreneur and to a powerful brand that is associated with high-quality service and products. Parker’s is strategically redefining America’s convenience store industry, offering customers high-quality products, freshly prepared food and superior customer service at 54 retail stores throughout southeast Georgia and South Carolina. Headquartered in Savannah, Ga., Parker’s has a commitment to exceeding customer expectations and has repeatedly been recognized as one of the nation’s leading convenience store companies. Foodservice is a specialty, featuring Parker’s Kitchen favorites like hand-breaded Southern Fried Chicken Tenders, tender bone-in chicken, made-from-scratch mac ‘n’ cheese, a breakfast bar and daily specials. The company’s popular PumpPal loyalty program, which includes more than 150,000 members, has saved Parker’s customers more than $10 million to date. Parker’s also gives back to every community where stores are located through the Fueling the Community Program, which donates a portion of the profit of every gallon of gas sold on the first Wednesday of the month to area schools. In addition, the company endows the Parker’s Emergency and Trauma Center at Memorial Hospital in Savannah and spearheads an Anti-Litter Campaign in Savannah. For more information about Parker’s, visit www.parkersav.com.